Another Americanism we're adopting, no questions asked. "Black Friday has come almost universally to denote joyous commercial excess, stupendous deals and big profits on the day when people head out to shop for the holidays after Thanksgiving?" Well! it comes the day after Thanksgiving, another American holiday we (Australians) don't observe, but why worry about detail when there are profits to be made by jumping on the band wagon, just like Halloween, Aussie retailers are doing their level best to have us adopt this American holiday/celebration, won't be long and there will be an all out push to have these events declared a public holiday here in Oz as well, all in the name of profits. "Ten Masters stores to reopen as shopping malls in time for Christmas" seriously! they're dreamin, we already have one of these enormous new retail outlets in the North of Adelaide unable to attract tenants, this in the ABC gives little comfort Shopping centre owners suffer from retail 'headwinds' - ABC News (Australian Broadcasting Corporation) as I said, challenging times ahead for the retail industry. Of course we do have the exceptions, Andy of Coffee Snobs is one, another is an online supplier of vet products, both provide brilliant service, sadly they are the exception rather than the rule. Hopefully we are not going to rely on becoming the 51st state of the US to solve our financial woes. Challenging times ahead for retailers, I suspect they're going to need a whole lot more than black Friday to save em. Last edited by Yelta; 24th November 2017 at 11:27 AM. Dimal, Casa Espresso, LeroyC and 2 others like this. Im not going to complain i just bought a double boiler breville at one and saved my self some serious cash. This is the first time we have promoted the "Black Friday" sale. Unfortunately you are right, the days of our traditional retail setup in shopping strips with high rent are gone. As a retailer we need to move with the times and market. I do though dislike the term "Black Friday". From a historical perspective and as an Australian where the term "Black Friday, Saturday etc" normally refers to a severe bushfire day it does rub me the wrong way. coffeechris, Dimal and Magic_Matt like this. Hi Yelta, you are right the retail landscape will change for ever and possibly not for the better. I think expectations that Amazon can miraculously provide similar service levels to the USA are unrealistic, in roughly the same size land mass they have 323 million we have 24 million. The extra 299 million give some economies of scale. No question they will service the low hanging fruit easily, but we already have online retailers, generally in the fashion space, offering 4 hour deliveries - you will never see that where you live. Amazon will be able to provide their own distribution service in capitals, but the parts of say Northern Territory which have a fortnightly mail service after Amazon will still have fortnightly service. In the meantime, they use their own customers to provide advice, rather than specialist consultants. Smart but often the herd can be wrong, you are one person who doesn't always agree with the herd. In the meantime the Antony and Charlies of this world who provide specialist retail advice will end up giving advice which some may use to save a few dollars on Amazon - who doesn't employ consultants to provide advice. I honestly think many of these disruptors are parasites with no social conscience. We have Uber using Lisa Wilkinson house husband to promote themselves on TV, but if you are in a wheelchair you can whistle dixie. While taxi groups are mandated to have a certain number of wheelchair accessible taxis - Uber has not one! Add in the have admitted to trying to evade law enforcement with grey cars, have been fined for employing criminals, barred in some cities, etc. Or Tesla, big talking about wanting to change Australia with electric cars, but when they build a charger make sure no other cars can use it. The many different services who are first responders to vehicle accidents, from Fire services to the SES in Tasmania all had to learn new safety procedures when the Prius came out - for their own safety and also of the accident victims. Toyota provided training material and a demo car. Tesla, to the best of my knowledge anywhere in Australia, has provided nothing. Don't expect anyone to use the jaws of life to get you out of your autonomous Tesla if it decides to run into something, lithium ion batteries can be very explosive. Totally agree with Antony about Black Friday bringing some unfortunate references in our country, I would prefer people just say pre Christmas spot sale or similar. Sorry for the long rant! Dimal, LeroyC and chippy like this. Well written Yelta - was just thinking today about this kind of thing happening all around us, being promoteted every ad set on the radio station I was listening to. And yes Antony, I agree completely about the 'bushfire' reference for Black Friday also - a real shame for these reminders to be blurred by another country's influence. Coincidentally, just found this in today's Washington Post, long, but interesting read. "David McCombs has spent the past 10 Thanksgivings camped out in a Best Buy parking lot in central Alabama. Each year, he and a rotating crew of friends have shown up days — sometimes a week — in advance and set up tents, couches and folding chairs to wait for the official start of the holiday shopping season. They played lacrosse, organized basketball tournaments and watched movies that they projected onto the side of the building. At night, they slept in sleeping bags and hammocks as they prepared for the year’s biggest competition: beating their neighbors to discounted doorbusters. But this fall, the local Best Buy closed — yet another casualty of Americans’ changing shopping habits — and brought the decade-long tradition to an end. Just as well, McCombs says. He’s doing more of his shopping online, too." My family refuses - on principle - to recognise or participate in any stupid American imports like Mothers Day/Fathers Day/Halloween/Valentines Day, and yes - Black Friday. A minor correction - Halloween is actually the traditional pagan English "All Hallowed Eve", never been a US original at all. Mind you XMas is the Summer Solstice Festival and most theologians believe JC was born on / near 4th September (makes him a Virgo for those into that stuff - apt for his mum). Ditto Easter is another pagan festival taken over by the "new Christians" and has nothing to do with JC's nailing day at all... I guess any excuse for a day off / party will do. LeroyC and chippy like this. Excellent read!! A few people really nailing it here! Total agreement from me. Morning Rocky, You certainly have me on the back foot there, I've never even contemplated the origin of Mothers Day/Fathers Day, I'm no spring chicken and as far as I'm concerned it's always been around, some Google research needed. Just to clarify a couple of points. I'm most certainly not anti American, it's a wonderful country with so much to offer, both culturally and geographically. What does concern me greatly is our (Australian) lemming like quest to embrace everything American, particularly when it comes to consumerism, we need to embrace our national identity and stop trying to imitate others, yeah, right I hear you say, it ain't gonna happen. Anyone for another Crispy Creme. 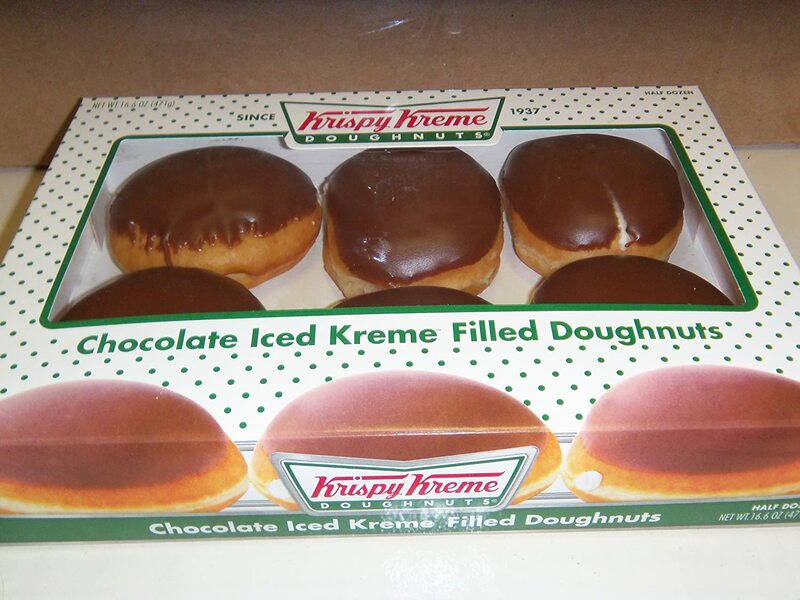 Damn you Yelta, I had suppressed the memory of the brown painted sugar laced with fat of the Krispy Cremes (had one at Central City / Black Hawk casino and at then their founding branch to see if they were different - they weren't). Probably the worst doughnuts I have ever encountered - even worse than the greasy, oil dripping mess from mid west Qld on one trip. Mind you - Pizza Burgers at Maryborough Qld on the same trip was a revelation! Considering the US rep as the "land of coffee and doughnuts", most of either were utterly abysmal. FWIW, I renamed it "The land of the long white grab*" when I was charged 25 cents to put air in my tyres. * Must give due recognition to Kiwis for the original. Mate, I love a party and a laugh, but I have a low tolerance for con-jobs that want to separate me from my hard-earned dollars. As the sole-provider for a young family I quickly learned to cut out the unnecessary expenses. All the "retail celebrations" fall into that category - except maybe Christmas - which we really enjoy. matth3wh, Yelta and zeezaw like this. I don’t mind recognising things that have a point other than selling me stuff. Mother’s Day, Father’s Day and even god help me Valentine’s Day can give you an opportunity to show some appreciation to a loved one. And while it shouldn’t take a date on a calendar for this to happen, it’s nice to make a fuss occasionally. You can also decide within your family how far you go with these things, eg. my wife and I don’t really bother with Valentine’s Day except for maybe a mushy text message at some point during the day. I had a laugh. But Black Friday is literally POINTLESS!!!!! Pointless people. I urge all CS sponsors to GIVE IT UP! Quite frankly it’s annoyed the crap out of me getting emails marketing fairly average discounts from retailers that I otherwise respect like Di Bartoli, Coffee Parts, Casa Espresso, Alternative Brewing etc etc. I could go on, but I think I’ll leave it there before I say something I’ll regret later. Rant over. All the "retail celebrations" fall into that category - except maybe Christmas - which we really enjoy." Yeah was more a bit of tongue in cheek. I don't know about you, but if I had a buisness I'd be looking at every avenue to increase my profits and get people buying my stuff, you can't really blame buisness for wanting to make money. That's capitalism for ya! ...and the thing about "cultural transplants" is that it causes confusion. Neighbourhood kids turn up at my front door for "Trick or Treat". Catches me by surprise as we don't DO Halloween, but IF I had thought about it I would have bought some sweets for them. We don't have that kind of stuff in the fridge as we also don't DO junk-food. These days, the kids are accompanied by their parents as we don't want the kids to get taken by pedophiles, do we. Before 1969, Australia did not have a national number for emergency services; the police, fire and ambulance services had many phone numbers, one for each local unit. In 1961, the office of the Postmaster General (PMG) introduced the 000 number in major population centres and near the end of the 1980s extended its coverage to nationwide. The number 000 was chosen for several reasons: technically, it suited the dialling system for the most remote automatic exchanges, particularly outback Queensland. These communities used the digit 0 to select an automatic trunk line to a centre. In the most remote communities, two 0s had to be used to reach a main centre; thus dialling 0+0, plus another 0 would call (at least) an operator. Zero is closest to the finger stall on Australian rotary dial phones, so it was easy to dial in darkness. 911 was previously considered as a potential emergency number, though existing numbering arrangements make this unfeasible due to homes and businesses being assigned numbers beginning with 911. 338 and zeezaw like this. kids are accompanied by their parents as we don't want the kids to get taken by pedophiles, do we. The correct spelling should be 'paedophiles'. ajayro57, Yelta and 338 like this. Its certainly an interesting thread and as a retailer, wholesaler and CS sponsor its one of the challenges of business to evolve with the times and a changing market. Online shopping, promotions, web forums (yes that's us at CS) are here, if we choose not to be involved then we will be left behind. We cant just "give it up" and not be aware of what is going on around us. We can though balance what we do in a considered manner. With our "Black Friday " sale (and yes i do dislike the phrase) we made offers that were better then we would normally publish on line. Some may consider them "average" offers but the reality is we have no extra margin on a sale day to give away and another 10 to 15% discount in an already competitive market is a substantial part of our margin. What you wont see us do is constantly promote a sale in every post we do, no "click here".. or "read my recommendations " in every post we make. Nor will you see the Di Bartoli, Coffee Parts etc do the same on this forum. Its a balance of advice , promotion and respect to the forum..
Dimal, matth3wh, Lukemc and 2 others like this. Antony, no question the current sponsors have a great balance and predominantly post useful information and lighthearted banter without incessant self promotion. Fine line to walk and all presently here do it well. "which for many means diving into a whole new set of online deals (likely from your desk at work)." Which of course begs the question, how much time is lost by people doing exactly that. I've even noticed on this forum that traffic is significantly lighter on the weekend. Ha! funnily enough, the Black Friday scam probably caught me anyhow as my TV in my Den blew up and I had to go buy a new one on Friday. Even more ridiculous - the upstairs one has been having a few problems and in my research I saw a really good deal on a slightly larger one and decided to buy that too. So - It turns out - I need to zip it! Wowsers! the sky is falling, the sky if falling! !